What's Princess Charlene been up to? Pulling more than a few surprises out of her bag of tricks, that's what. This isn't the first time in the past weeks she's surprised me, either. I suppose you could say she's a touch overdressed when the dress code is "dudes in suits" - but hey, I'm 100% down with the top princely lady showing everybody else up. It's practically in her job description. This is a big event for Monaco and she's right to turn it up several notches. Her jewelry game is getting good, too. (Okay, her earring game has always been good, so let's say it's getting even better.) 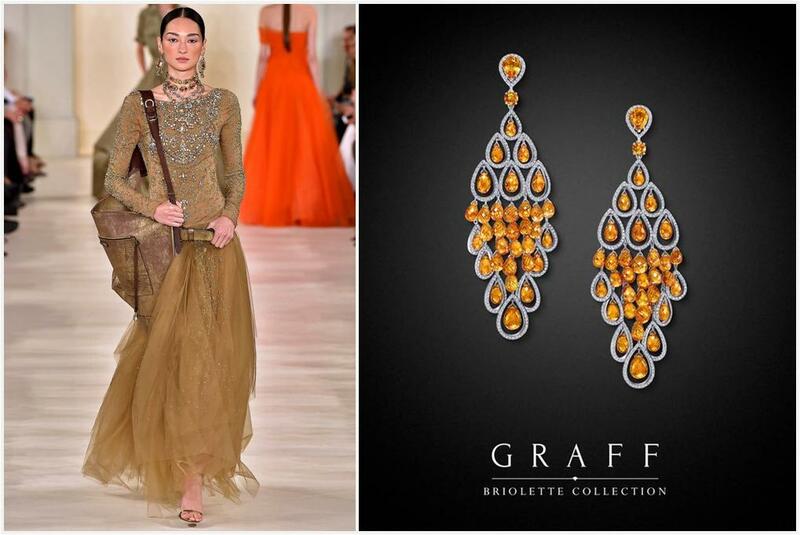 These earrings from Graff feature 3.37 carats of diamonds and 65.47 carats of orange sapphires. Oh, and she's also worn this design in the aquamarine version. This comes on the heels of her wearing a Cartier necklace in white and yellow diamonds with matching earrings and a Roland Mouret gown to open the festival. We've seen a fair bit of Roland Mouret from her recently; the necklace, on the other hand, was a total surprise. A Charlene with a few surprises and a whole lot of diamonds at the ready is a Charlene that I am HERE FOR. More, please.